It is now late in the evening on Saturday night in Kazan Russia. This tournament is now officially into the playoff rounds. It seems like we have been here for a long time however a very good time. After working 2 games on Friday, I was given the entire day off today. It was a very nice break. Today only women’s games were played. All 16 teams were in action including 2 semi final games. My fellow Canadian Karen Lasuik worked the Russia vs. Australia game in 1 semi final and the other was USA vs. Australia. The winners will play the final on Monday. The game will be Russia vs. USA. All teams play even if they are not in the medal round. This means lots of games still need to be officiated. My schedule has me working the last game of the day in the opening round of playoffs for Men. I am the crew chief on the Russia vs Romania game. This is going to be totally awesome. The arena will be jammed with the home team in the game. This can be seen on the internet. http://fisu.tv The game here in Kazan will be played live at 9 pm Sunday night therefore Winnipeg time will be 12 noon. The game can be seen on line for free. 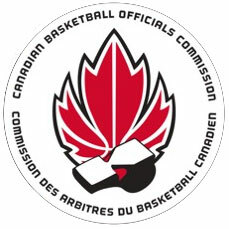 I am very excited about the opportunity and great for us Canadians to have 2 officials here both working in very important games. Karen had a great game I suspect to see her in medal game on Monday. My game will be huge. Both teams are very big and physical and will fight to the end. It will be great. I am very grateful to be crew chief once again and look forward to working with my partners from Sweden and Japan. The Canadian Men’s team has won all 5 of their round robin games. They play in 1 of the 4 quarterfinal games tomorrow vs. a tough Brazil team. They look great and really have surprised lots of people. Excellent team chemistry and fun to watch play. The coming days will determine my final assignments based on how I perform as well as what game the Canadian Men play. If they play in the final, I will not have the opportunity to work the final. The way they are playing, they certainly can be in the final and if they are, good on them. Country first. Of course I need to earn my way there first! Canadian Women lost to the Australian’s yesterday and in a B side game today lost to Sweden in a heart breaker in overtime. This is a young team who all are university players who are playing teams who primarily have pro players on the roster so good on them for competing hard and hanging in there. Today I had an opportunity to visit some of Kazan. A very old Russian city with tons of history. It really is beautiful and a pleasure to see. The 25,000 volunteers continue to be totally amazing. We had a personal driver take us all over the place for a few hours. Totally cool. One of the things we discussed today was how thrifty or conservative the Russians are with respect to consumption. During lunch, one of the American Officials brought up how everything is in smaller portions. Even the napkins are smaller. They never serve water automatically. Food portions are appropriate for what is required at a sitting. The American Referee said how different that is from back home where portions are so large and the waste of food, etc is something the Americans could take note of. I chuckled and said I think that is the first time I have heard someone for the USA actually. The games from here on in will be extremely competitive and 2 hours of complete concentration. Everything is on the line now. This is what we all have worked to get at and I can’t wait to get at it!!!! Only 4 more days here before the long journey home. It will be a action packed 4 days that will bring great memories. I am truly fortunate for this opportunity and I am going to work my buns off the squeeze everything I can out of this.....hopefully including a gold medal game. If not, this will go down either way as a golden life experience! Feel free to drop me a line or a text. Let me know how the Bombers are doing. Game time is approaching and I wish I could watch it.